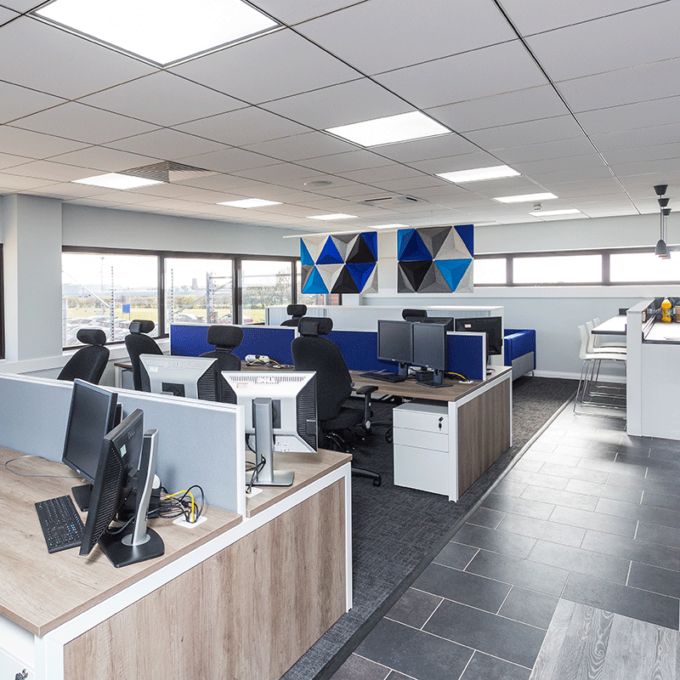 Launched at the start of 2002, Bluespace studio has cultivated an outstanding reputation for design led office fit outs and furnishing of commercial interiors. Over the last 15 years, we have managed projects in retail, laboratories, schools, colleges, universities, offices and open spaces demonstrating that our interior design skills are transferable across industries and budgets. We can design, build and manage your refurbishment project from feasibility study all the way down to hanging the artwork. On a practical level, we can also provide office furniture and storage solutions to maximise your workspace. We are passionate about what we do and take pride in every project we undertake. Our collective experience and expertise have lead our business to success and we strive to continuously improve, year on year. Our client feedback stands testimony to our commitment and exceptional results. We believe that you deserve a workplace that inspires your staff and benefits your clients. Our office designers create modern office environments that reflect your company's branding and are interesting to work in, whilst remaining functional and comfortable. The fittings and furniture we use within our office fit outs are all of the highest standard. We use branded office furniture from names you can trust, and tried and tested fittings that will improve the functionality of your workspace. From the initial sketches of your new office design, through to project completion, our team of professional office designers will deliver your project according to your timescales and budget, surpassing your expectations. We cover a wide range of locations throughout East Anglia, including design and fit out projects in Cambridge, Norfolk and Suffolk. Within these locations, we have completed a variety of projects; transforming new, old, purpose built and converted buildings into creative, motivating and most importantly, functional working spaces. Our expert designers and reputable contractors can work at any location, providing the same exemplary service that our customers have come to expect from every project we undertake. 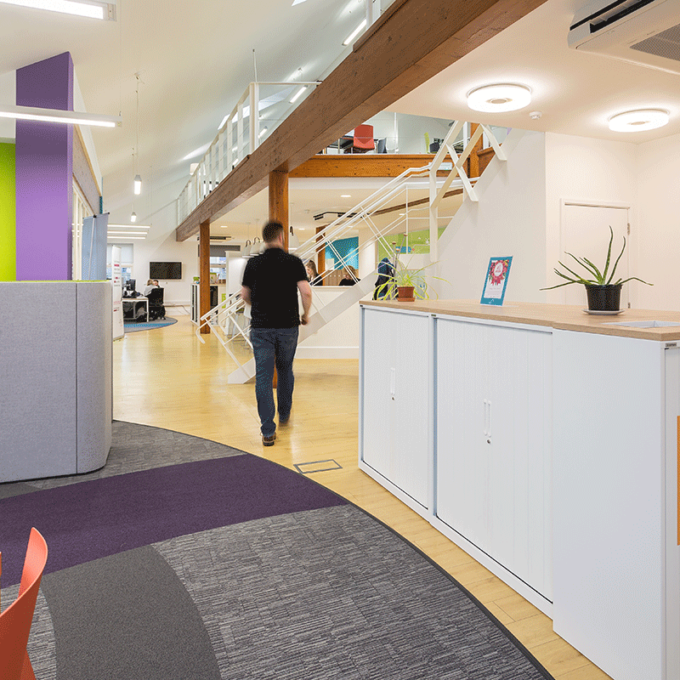 We are pleased to offer our office design and fit out service across the depth and breadth of Suffolk. If you have an office design project in Suffolk, we would love to hear from you. 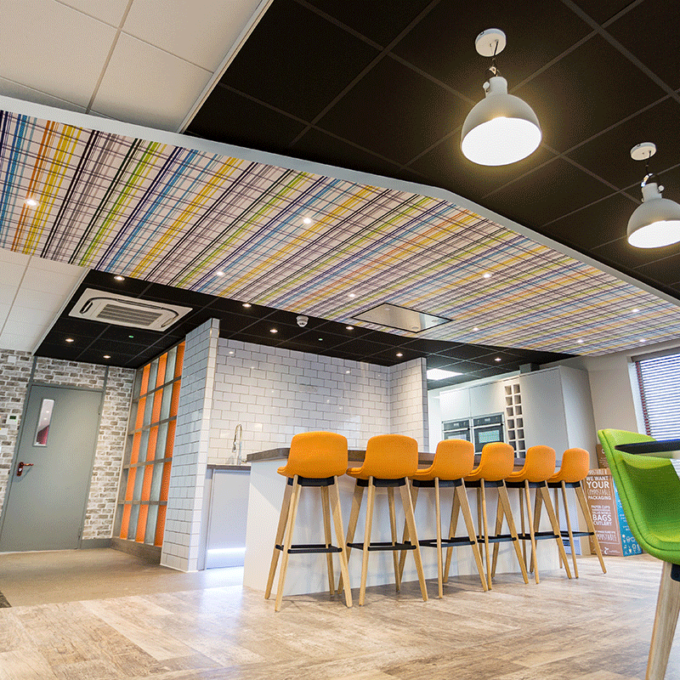 We have vast experience of delivering office design and fit outs across Cambridgeshire and we look forward to hearing about your next Cambridgeshire-based office design project.